Class, exclusivity and grandeur: not words often associated with the utilitarian throng of cyberspace. Lacking the shine of marble, chandeliers and favourable postcodes, online luxury ecommerce is tasked with using pixels to create a premium experience, where champagne and shiny fixtures cannot beguile. Some big names in luxury are realising the power of a relevant and dynamic digital strategy on the bottom line: using the creative power of online content to satisfy and engage their elite shoppers - to keep them firmly in the consciousness of the consumer. We've taken a look at six luxury brands using content to deliver slick and polished user experiences, and show how the humble retailer can transfer the ornate into the ordinary, to engage their audience and drive sales. Home of the red soles, Christian Louboutin has always been one to deliver captivating content - such as this festive, fantasy-like campaign telling the story of an artisan who once 'borrowed the stars from the sky'... The story can be followed by fans of the brand, or those just curious to find out the rest of the story, using the hashtag #LouboutinWorld. And this isn't the first time the brand has delivered awesome content. Earlier this year, Christian Louboutin called on mankind's morbid fascination with a good murder mystery with it's spooky story "Who Killed Amazoula". The film was teased on social media, forcing consumers to return to its website and social channels to see the remainder and solve the crime. Louboutin unravelled the mystery via its website and social channels - with clues wrapped up in well-placed items from its latest collection - encouraging multi-channel engagement. The high-end brand increased its digital touchpoints by making use of YouTube’s 'shoppable ads' function, letting users shop the collection directly from the content - a wise move in the face of declining organic reach across social. Stories don’t have to be high budget, they just have to be good. No consumer will be satisfied with mediocre content: invest time and effort into building a strong narrative with multiple entry points. Leave a trail of relevant, attractive content across multiple platforms threaded together with one engaging story to encourage multi-channel engagement. Make your content easy to shop from via features such as YouTube's shoppable ad function. Fostering a link between content and commerce can be difficult. For some great ideas and examples, check out our handy shoppable content post! 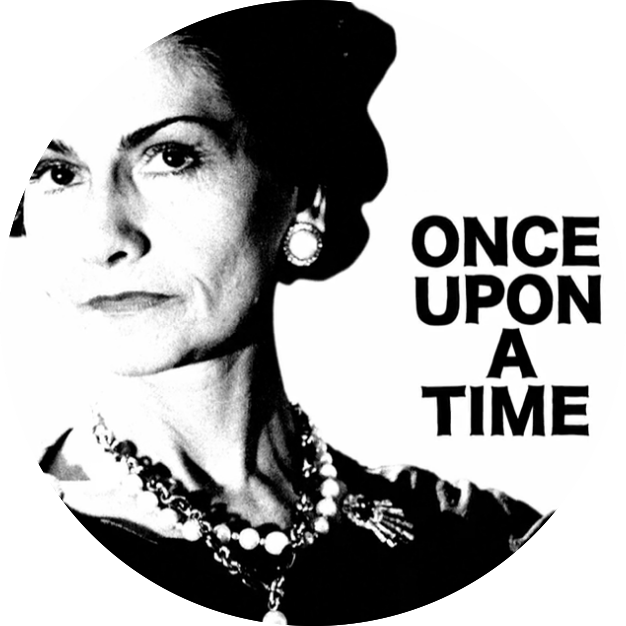 Steeped in fascinating history, the Chanel story is one of the brand's biggest selling points and is made the most of via a timeline feature, labelled ‘Inside Chanel’, on its website. The well-designed, slick tool explores the brand’s unique beginnings, from the baby of haute grandmother, Coco Chanel, to its modern evolution. The genuinely fascinating storytelling tool is a great example of how to build strong relationships with your customers and satisfy a thriving community of loyalists. The mix of photography, docu-style video and interactive content is as rich as the brand itself, identifying their passions and serving as a fabulous foundation for future content developments. Stories are the perfect catalyst to building brand loyalty and brand value: develop an emotional connection with your brand to grow respect. Be creative: use your established communication channels to develop stories. Email is a highly effective platform to establish and build a story over time. Every story has a beginning, so be sure to draw upon your journey from something to nothing: and how your customers have helped you stand as you are today. For those not blessed with Lagerfeld’s sepia storytelling je ne sais quoi - check out these awesome examples of retailers telling their story through the simple (but highly effective) medium of welcome email. Also explore these humble and brilliant ways to bring your ecommerce brand to life online. Get it right, and it's an incredibly powerful means of building your brand and winning over new people. 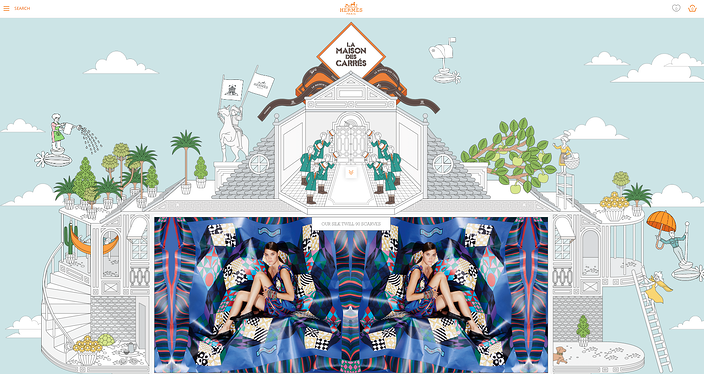 Hermès’ House of Scarves microsite is a beautifully designed palace of illustration, full of flare and digital curiosity: something a polished bricks-and-mortar store cannot deliver. The site is an ocular spectacular, with brilliantly detailed product information, design history, photography, video tutorials and customer service clearly defined alongside a truly amazing shopping experience. Customers can click on different parts of the 'house' to add items to a wish list and their shopping cart, and get lost in the rich dynamics of the product range. Premium shoppers expect premium experiences. Hermès’ ecommerce site is a decadent gift of design, worthy of its products hefty price tags. A recent survey shows that 82% of shoppers are willing to share brands with friends and followers when they’ve had a positive experience. Get it right, and reap the rewards. Use in-house expertise or collaborate with fashion industry insiders and bloggers to create curated ‘edits’ of your products - authority sells! Interactive experiences rule the roost when it comes to awesome content marketing campaigns - quizzes with personalised results are a great example of this in action (take a look at our handy blog post highlighting four retailers using quizzes to drive success). Think small: explore little content ideas that can enhance the user journey that add to your brand personality, such as jazzy GIFs and engaging homepage design. You don't need a million-dollar budget to create engaging interactive content - check out some (cheaper) and amazingly creative solutions in our recent blog post showcasing awesome examples of ecommerce content marketing at its best. Burberry’s chief creative, Christopher Bailey, once cited digital technology as central to the brand’s new way of thinking - which has been fundamental to its newfound relevance. The British brand partnered with Google to deliver the interactive campaign ‘Burberry Kisses’ last year – a visually immersive and interactive experience that lets users send kisses to lucky recipients across the globe, a creative experience that uses content “to reimagine how Burberry talks about its beauty products”. The Kisses campaign is a wonderful example of how brand's can humanise technology in order to interact with the consumer in more personal ways - to ultimately sell their product. Burberry also recently re-launched The Art of the Trench, a campaign that builds upon its iconic legacy product: the trench coat. The world-wide, multi-channel campaign features professionals’ and users’ photographs of people wearing Burberry trench coats - putting its customers at the heart of the content and bringing a world-wide narrative to their story. While the produt story is clear, the USG is still linked to individual product pages with a subtle but effective ‘buy now’ call to action looming over the pretty content the whole time. Art of the Trench and Kisses weren't designed to directly make money, rather they were created to engage the consumer, spread awareness and make people click SHARE. Create content that users want to share by making them part of it - but never waste the opportunity to sell and make your items shoppable! Put your customers in control: encourage engagement by handing over a hashtag to your customers, or enabling them to subsit their own content. Repost and share quality content on your channels to show you’re part of their community. Be sure to capture action: highlight and share great photos and experiences of 'life happening' to make your brand relevant and part of the current conversation. Louis Vuitton employed personalisation to get consumers engaged with its new fashion jewellery. The “LV & Me” video showcases the brand’s latest collection of monogrammed jewelry in a slick and interactive style. 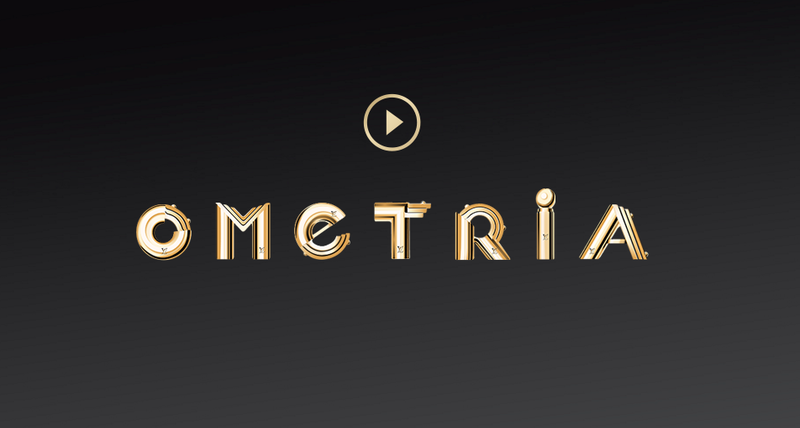 The French brand uses the content to build a personal connection to the product. Moreover, users can input their name and create another video just for them - a great way to bring the product into the hearts and minds of the all important purchase maker. Personalisation has become more than just a novel way to reach out to the masses. Consumers love something that’s just for them. Research by Hanley-Wood Business Media showed that 78% of consumers stated that brands that create unique and personalised content are more interested in building a relationship with them. Get personal. Start small. Use simple data gleaned in your newsletter subscription process to personalise your email. Personalised subject lines are 22.2% more likely to be opened. Segment customers into basic sets to do some basic personalisation of content and messaging to make your content more relevant. How about using geo-targeting to promote products/services relevant to the user’s location to make your offering more localised and relevant. If you need any great ideas about taking your personalisation to the next level, take a look at our recent interview with the fabulous Ira Wichmann exploring practical ecommerce personalisation in the real world. Hailed as an “automotive revolution in luxury content marketing” by Econsultancy, Land Rover’s microsite is a multifaceted adventure of content. 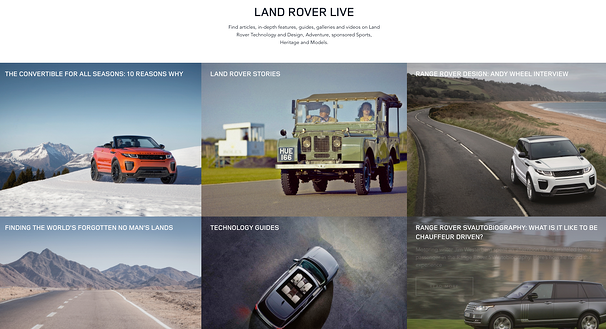 Land Rover Live is used as a content publishing platform to talk about all things design, technology and machine - combining articles, videos and editorial-style visuals to deliver a truly valuable home for their product heroes. Marrying sharp imagery with insightful, product-based articles is a winning formula to bring value to content. The brand's extensive breadth of content helps to broaden the appeal to a diverse audience: from farmers to city slickers. Born on social, Land Rover's #Hibernot campaign, which encourages Land Rover owners to embrace the UK winter, gets people to send or tweet images of winter moments, which “really rings true to the core values of Land Rover”. The campaign sits perfectly on the Live site - and is an excellent example of how content can be threaded through an entire media strategy. Land Rover's content mix is a fantastic example of delivering quality that's genuinely valuable - which can be used as a platform to promote new product releases, ad campaigns and updates. Brands have fans, it's your job to satisfy and engage them to build conversation and maintain relationships by delivering relevant content in a centralised hub. Deliver a mix of content (not just product releases) that will keep users occupied and coming back. You wouldn't go back to a news site if they constantly regurgitated weather updates...unless that's your thing (sorry mum). In our modern and connected society, where access to goods and services is never more than a click away, luxury is no longer reserved for the wealthy few. Whether or not high-end brands want to open their vaulted doors to the unwashed masses is up to them. However, customers seek pleasure and satisfaction with brand worlds, not just the products themselves - and they must deliver content to satisfy demand - or risk irrelevancy. Is the best digital marketing strategy about reach or relationships? It's both - and content serves to bridge the gap. Whether you're selling socks or diamonds: good content marketing is your way to reach a range of relevant people and retain a clearly-defined audience — and, ultimately, drive profitable customer action.